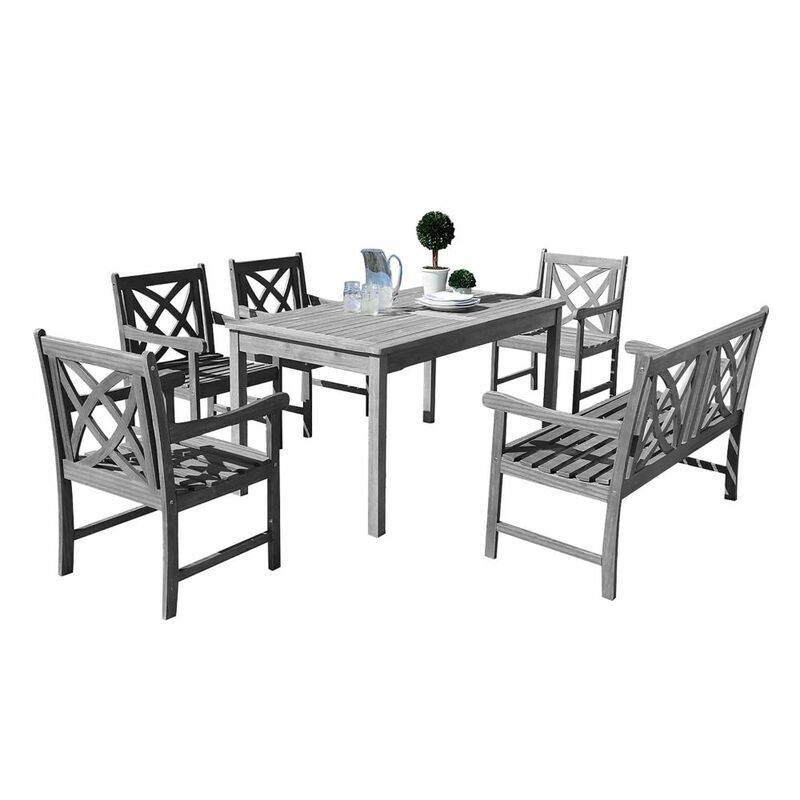 This Renaissance Outdoor Patio 6-piece Hand-scraped Wood Dining Set is a unique way to display your personal style! Made from 100% Acacia Hardwood that is native to Australia and Asia and used in the construction to make excellent and high quality furniture. Every piece of our Renaissance Outdoor Patio Dining Set is hand scraped that looks like a distressed heirloom piece that will bring your outdoor patio an amazing look. Renaissance Outdoor Patio 6-piece Hand-scraped Wood Dining Set with 4-foot Bench This Renaissance Outdoor Patio 6-piece Hand-scraped Wood Dining Set is a unique way to display your personal style! Made from 100% Acacia Hardwood that is native to Australia and Asia and used in the construction to make excellent and high quality furniture. Every piece of our Renaissance Outdoor Patio Dining Set is hand scraped that looks like a distressed heirloom piece that will bring your outdoor patio an amazing look.